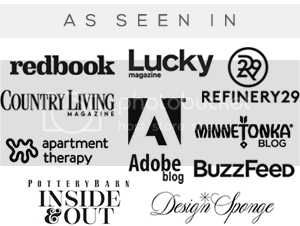 Bubby and Bean is an inspiration blog that focuses on living a creative lifestyle. My mission is to take interesting and pretty things that I come across and share them with all of you, in hopes that you'll find them inspiring as well. Sometimes I'll share pieces of my life (like the fact that I have a wedding coming up!) and my business adventures, but I usually concentrate on showcasing the works of other artists/designers and companies. 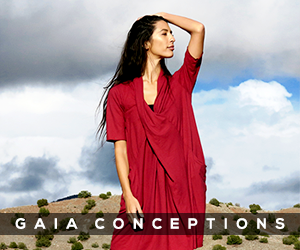 I have talked a little about my work as an eco-friendly fashion designer, but I haven't talked much about my art. So I decided to share some of that art with you today. 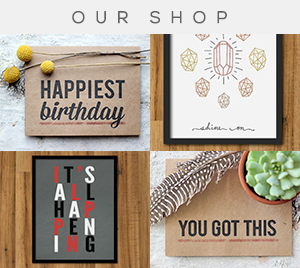 As you can see, I love creating pieces that incorporate typography and lettering, with a focus on positive, encouraging messages for the creative spirit. And as you may already know, I have a fondness for dogs - especially Bubby dog - and often incorporate dogs in my work. Although my experience is primarily as an illustrator (with a good old ink pen! ), I've really grown to adore graphic art over the past couple of years, and have so much fun designing graphic prints these days as well. 1. 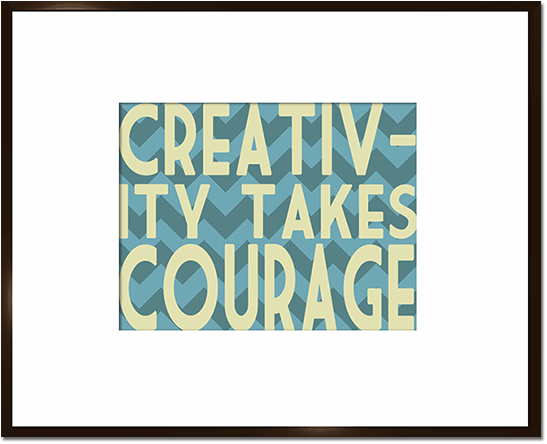 Creativity Takes Courage Chevron 8x10 Art Print, $20. 2. 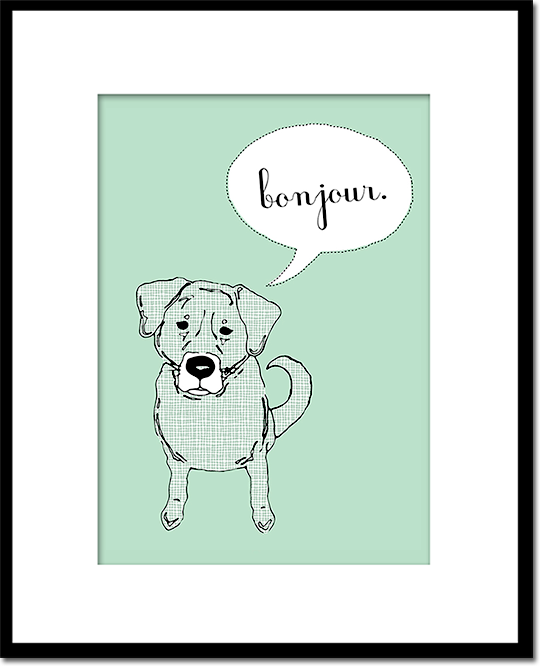 Bonjour Dog 5x7 Art Print, $16. 3. 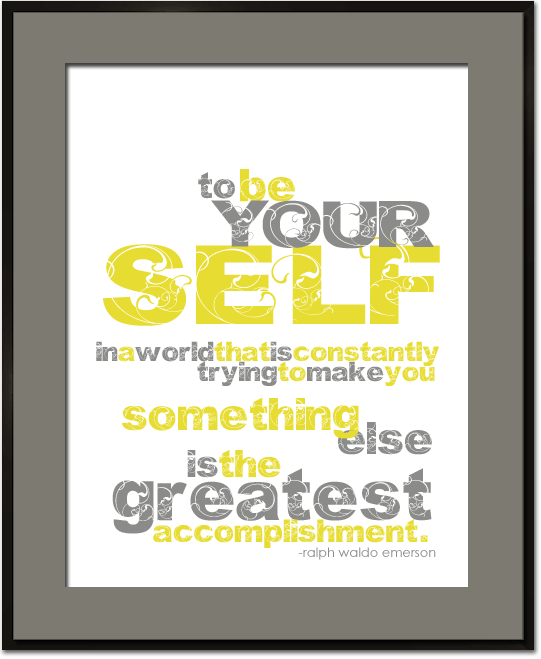 To Be Yourself 8x10 Art Print, $20. 4. 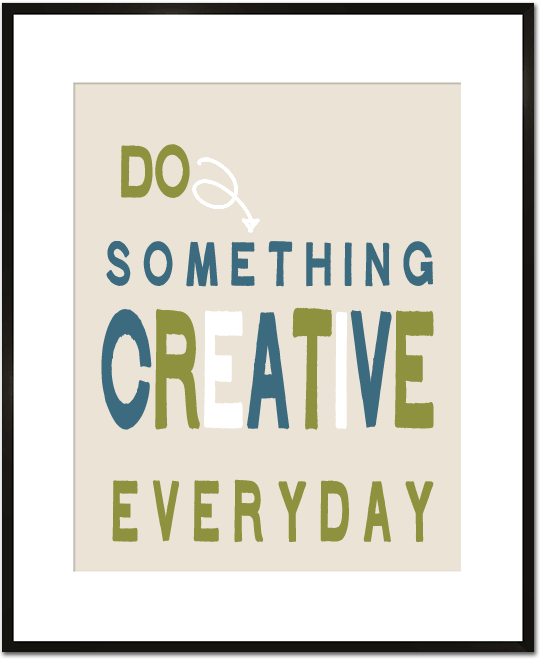 Do Something Creative Everyday 8x10 Art Print (new! ), $20. 5. 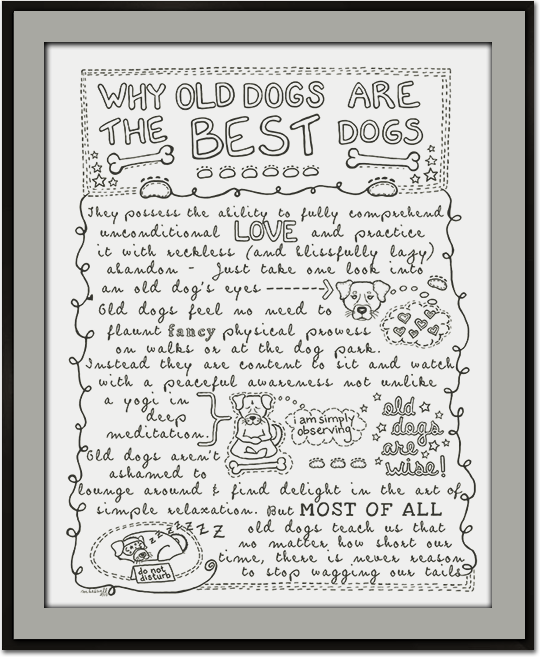 Why Old Dogs Are The Best Dogs 8x10 Art Print, $16. 6. 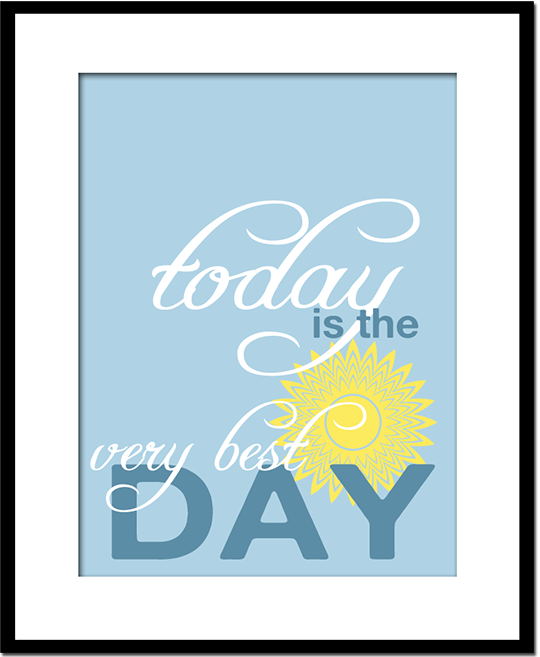 Today Is The Very Best Day 8x10 Art Print (new! ), $20. 7. 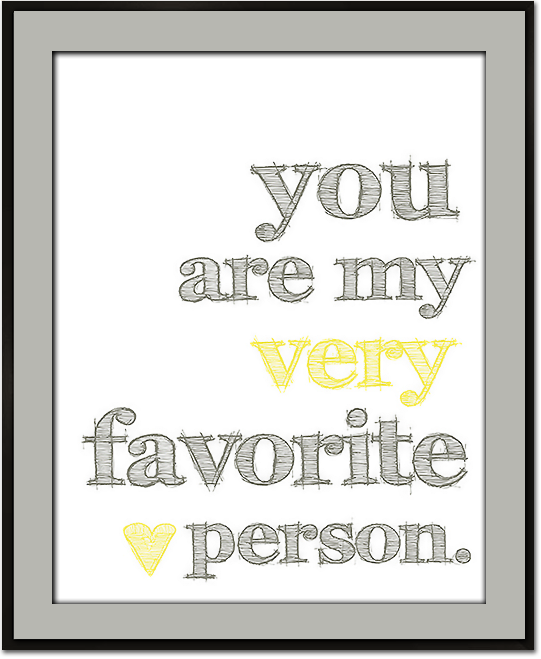 You Are My Very Favorite Person 8x10 Art Print, $22. 8. 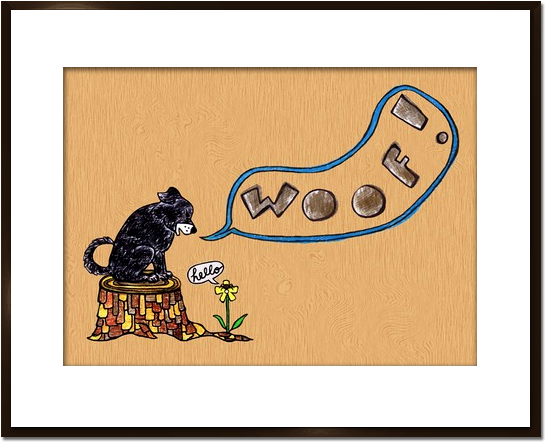 WOOF!, Dog and Spider 5x7 Art Print, $16. 9. 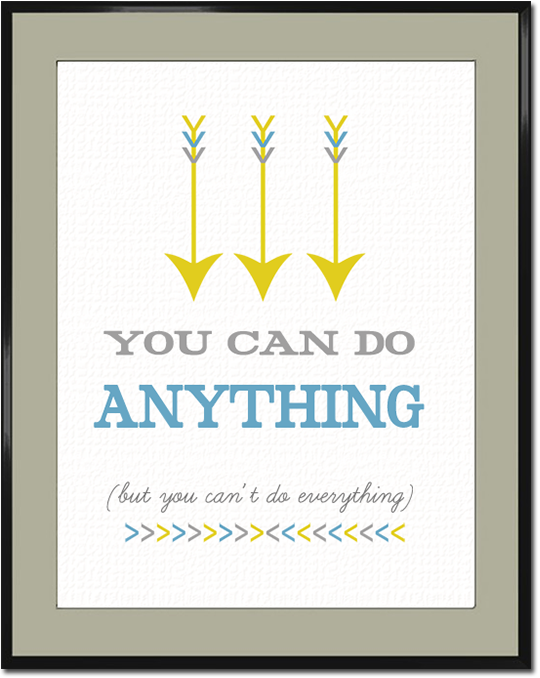 You Can Do Anything Arrows 8x10 Art Print, $20. Each of the prints above is available in the Bubby and Bean Etsy Shop. 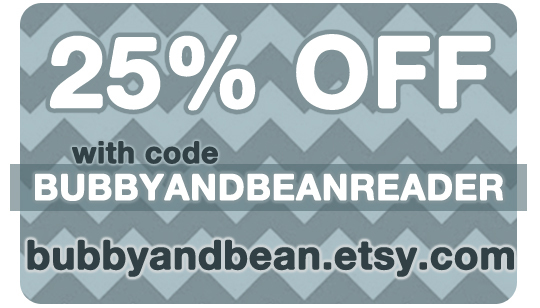 I decided it would be fun to offer my rockstar readers a special 25% OFF discount through the end of this week. So if you'd like to purchase one of these prints, or any of the others in the shop, just enter the code BUBBYANDBEANREADER in the coupon code box when checking out, and 25% will automatically be deducted from the price! There are also greeting cards and other goodies in the shop, and many of the prints are available in different color choices. 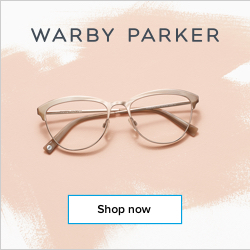 The discount is good on everything! Thanks for letting me share my art with you! I hope your Tuesday is smashing. Beautiful! I love the chevron one so much. Thank you for sharing your art, and for the coupon! These are great. And hooray for old dogs, I say! I love the dog with the flower best!!! So cute! Thanks for sharing! I love them all! I think my favorite is WOOF! I'm loving your set of magnets in your etsy shop...I may have to order them! 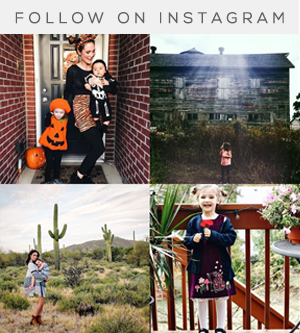 Thanks so much for your sweet comments! It was fun to share my art with you guys. For those of you who are artists, I'd love to see yours as well! I love "Why old dogs are the best dogs" picture. Our friend has a birthday coming up in September and this would be perfect for him. Him and his wife took in a stray dog that was wondering on her school campus a few years ago...anyway they would love it;) thanks for sharing.